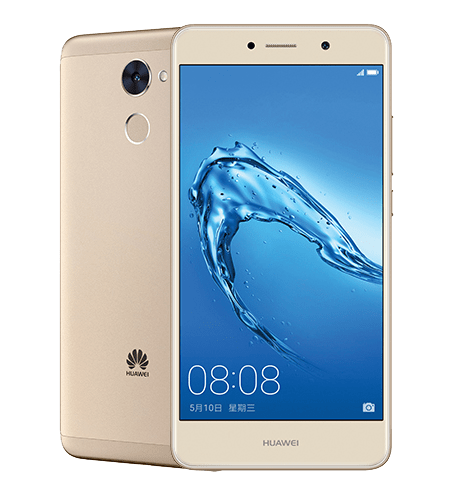 Huawei has launched a new mid-range specifications device Huawei Y7 Prime that is powered by a Snapdragon 435 processor and has other mid-range specifications. The Huawei Y7 Prime is priced at HK$1880 (around US $250) and is listed at vMall Hong kong website with pricing and availability details. It comes with Gold, Silver and Gray color options in Hong Kong while its global availability and pricing details are unknown at the moment. The Y7 Prime is the upgraded variant of the Huawei Y7 launched last month. It comes with a metal unibody design and it also features a fingerprint scanner on the rear panel in round shape and can unlock the device in just 0.3 seconds. Another positive spec of the device is its bigger 4000mAh battery that can give a nice backup as well. The Huawei Y7 Prime features a 5.5-inch HD 2.5D curved glass display with 1280 x 720 pixels resolution and is powered by a octa-core Snapdragon 435 processor (4 x Cortex A53 1.4GHz + 4 x Cortex A53 1.1GHz) with Adreno 505 GPU. It has 3GB of RAM available paired with 32GB of internal storage capacity that is also expandable up to 128GB with microSD card slot. It runs on the Android 7.0 Nougat with EMUI 5.1 on top and also supports Hybrid Dual SIM slots. It features a 12-megapixel rear camera with LED flash, f/2.2 aperture and a 1.25μm pixel size. It also comes with an 8-megapixel front-facing camera. A bigger 4100mAh battery powers this device and we have a number of connectivity options available including the 4G VoLTE, WiFi 802.11 b/g/n, Bluetooth 4.1 LE, GPS / GLONASS. It has a fingerprint sensor on the rear panel below the rear camera. It measures 153.6 x 76.4 x 8.35mm and weights 165 grams. To recall, the Huawei Y7 was launched last month with a 5.5-inch HD 2.5D curved glass display with 1280 x 720 pixels resolution and is powered by a octa-core Snapdragon 435 processor (4 x Cortex A53 1.4GHz + 4 x Cortex A53 1.1GHz) with Adreno 505 GPU. It comes with 2GB of RAM and 16GB of inbuilt storage that is expandable up to 128GB with microSD card slot. It runs on the Android 7.0 Nougat OS out of the box with EMUI 5.1 on top. It supports hybrid Dual SIM slot that supports nano + nano SIMs or 1 SIM+ microSD card. It features a 12-megapixel rear camera with LED Flash, PDAF, 1.25 μm pixel sensor and an 8-megapixel front-facing camera for selfie lovers. It is backed up by a 4000mAh battery and we have a number of connectivity options like 4G LTE, WiFi 802.11 b/g/n, Bluetooth 4.1 LE, GPS / GLONASS and FM Radio support. It measures 153.6 x 76.4 x 8.35mm and weights 165 grams. The device also supports a number of sensors including Proximity sensor, Ambient light sensor, Compass, Gravity sensor and a phone status indicator.